Will you need a “VHF Low” antenna soon? I know, you thought the days of the massive antenna were behind you. And I really hoped they were too. It’s so much easy to put a small antenna on the roof than put a larger one up, especially the 11-foot-long monstrosity you see above you. Unfortunately, for some people, a big antenna could be part of the future. The world of TV broadcasting will be changing in the next two years. The FCC will be turning off all TV broadcasting above channel 36 and reassigning channels in that upper range to lower channels. In some cases, that means reassigning them to the range between channels 2 and 6, which require a much larger antenna in order to work. Not every city will be affected. Here’s the list of cities with broadcast towers that are moving to those lower frequencies. If you want more details, check out this list from RabbitEars.info with station call letters. In almost every case, it’s just one single station, so you can avoid using that big antenna if you don’t care about the stations. For example in the Los Angeles market (including San Bernardino, CA) one of the channels that is moving is Spanish-only, and the other is a current-affairs channel operated by a local college. These stations may not interest you, so you can skip the big antenna in that case. One of the stated goals of the transition to digital TV was to limit the number of VHF stations. Most stations moved to UHF, where smaller antennas can pull them in. However, not all did. Some very high-profile stations in large markets chose to keep their original, historic broadcast channels. Unfortunately this included large markets like New York, Los Angeles and Philadelphia, more or less forcing antenna manufacturers to admit that VHF was here to stay. OK, but why are things getting even worse now? During the process of deciding which channels would move, the FCC gave broadcasters the option to sell back their licenses. A lot of people, myself included, thought that owners of barely-profitable stations would jump at the chance, but they didn’t. The result is that only about 160 stations out of the thousands in use across the country are going dark. With 15 channels going away, those remaining stations will need to move “down the spectrum” to other channels. In some areas, especially those large markets like New York, Los Angeles, Philadelphia, and Chicago, there are barely enough broadcast channels to cover all the stations that have licenses. That means putting some of them back on the “VHF-Low” frequencies that are still vacant. Why didn’t the FCC sell off the VHF Low frequencies instead? Because, simply put, they’re not very useful for cell phone signals. You would need a massively large antenna on your phone to get them, and you don’t want that. So… here we are and here we go again. I have high hopes that most people will find that they don’t actually need a massive antenna, that they can do without the stations that have moved, and I even forecast that some of those stations will simply fail because people will choose not to get them. Some, like Philadelphia’s WPVI (which has always been on channel 6 and will continue there) are so popular that people will choose the larger antennas. 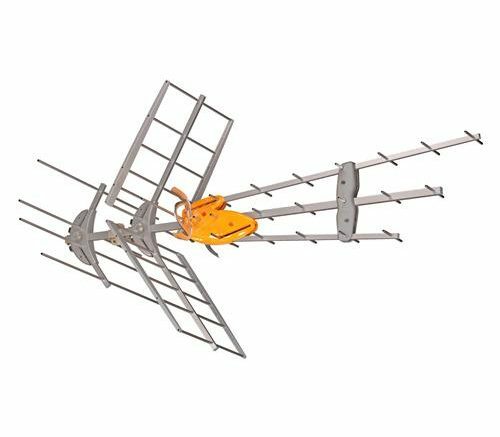 If you want to get a future-proof antenna, give the experts at Solid Signal a call at 877.312.4547 and they’ll help you figure out the best antenna for you!